Valentine's Day can be so fun to decorate for, but it passes so quickly, so I try not to spend a lot of money on decorating and keep it pretty subtle and simple. 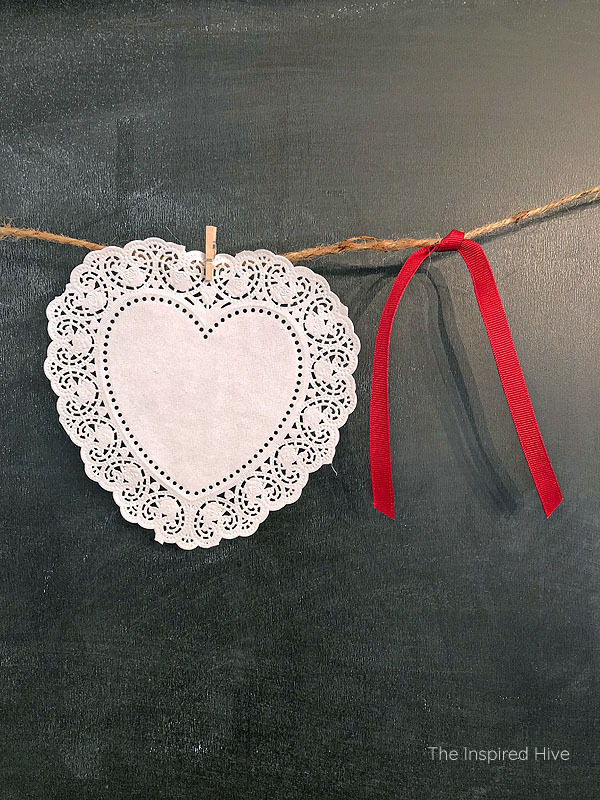 Incorporating simple florals, adding one or two affordable accents each year, and creating some simple DIY decor are all affordable ways to add a touch of romance to your home. 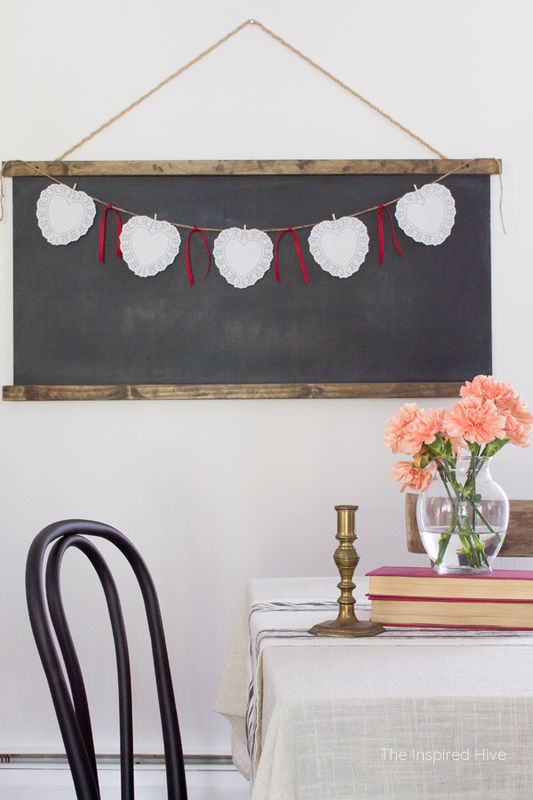 This year I made this super simple handmade Valentine's banner. 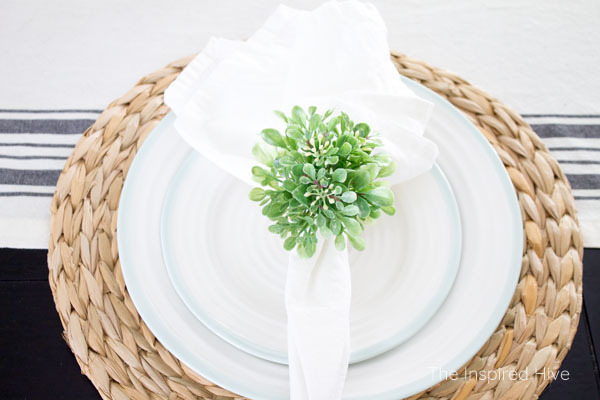 In just a few minutes, you'll have some cute and easy decor! 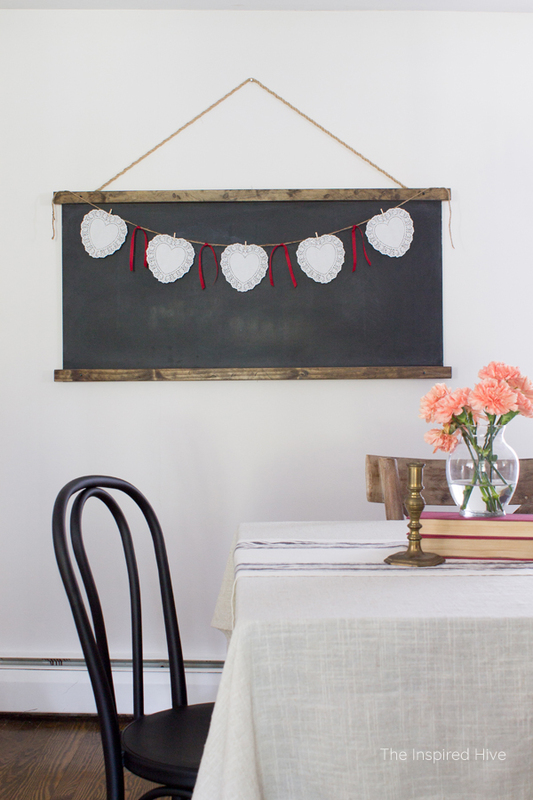 I began by cutting my twine to fit my chalkboard and pinning it with thumb tacks. 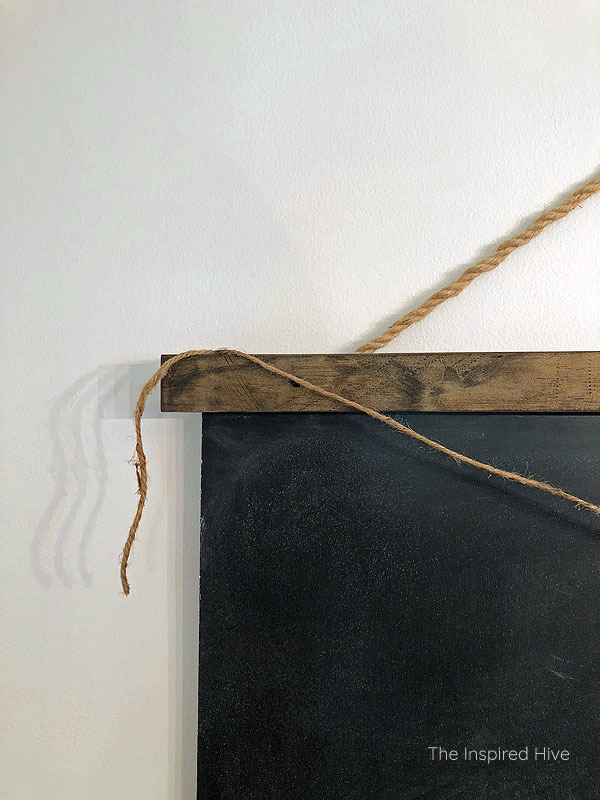 You certainly don't have to hang yours while making it. I just found it easier to visualize where I wanted everything. 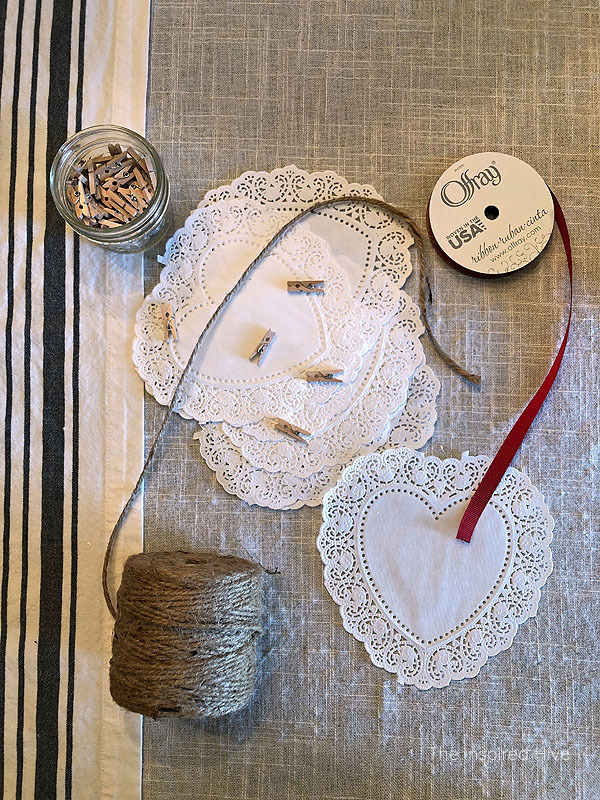 Then I used the mini clothespins to hang a heart doily in the center of the twine. Simply clip it on. I held up some ribbon to see what length looked best next to the heart and then cut multiple pieces the same size. I tied a piece of ribbon on each side of the heart with a simple knot. Then I alternated adding more hearts and ribbon until my space was full.